Ten Ton Hammer | Are ArenaNet Working On A Guild Wars 2 Expansion? 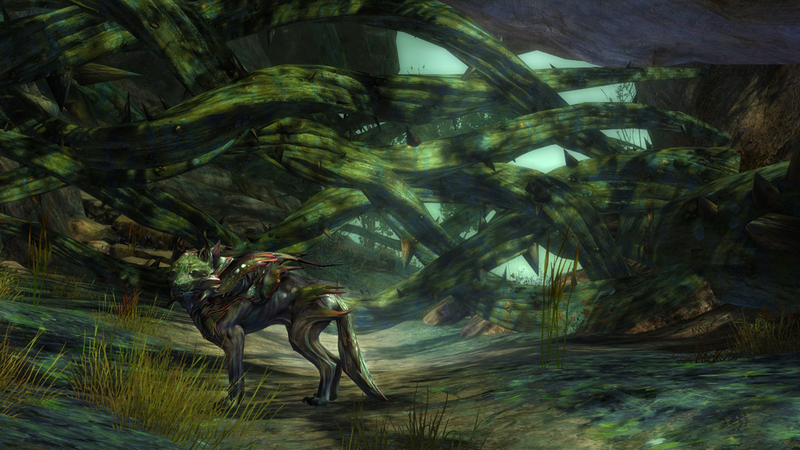 Are ArenaNet Working On A Guild Wars 2 Expansion? For a while I’ve been fairly certain that ArenaNet are working on an expansion pack. I donned my tin-foil hat and proposed my thoughts to a member of the team recently. They revealed absolutely nothing but when I actually laid out the reasons why I thought the team was working on an expansion pack, it became even more apparent to me that they undoubtedly are. I’ve thought for a long time that ArenaNet have been secretly working on an expansion pack with the scaling back of their development speed. When Living World updates were arriving every 2 to 3 weeks I’d no doubt that the hulking workforce of 250 staff were flat out attempting to keep pace with this never-attempted-before approach to content updates. 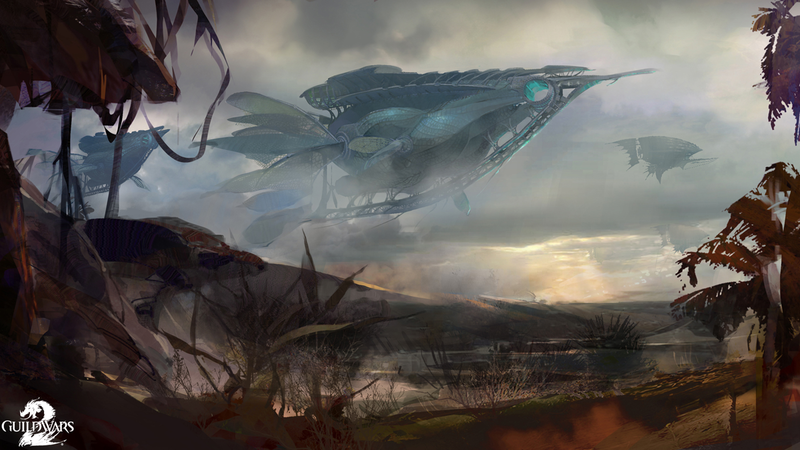 As the Living World updates began to be scaled back and the gap between them grew larger, my gut instinct told me that ArenaNet had changed tact and had begun to work on something else in the background. You could argue that the scaling back of content means very little and considering the recent Episodes, the elongated development time has clearly reaped rewards. The story that has been presented is so much stronger than any seen previously and the additional zone, The Silverwastes, I would state is their best yet. What’s key to me in supporting my hunch that an expansion pack is in development, is that despite the latest update being brilliant, it’s still thin. For the period of time it has taken to arrive and what we’ve actually got for it, I don’t for a second believe it’s the product of all of ArenaNet’s resources. If you consider the sheer number of concept artists, 3D artists, programmers and designers at ArenaNet, there’s no possible way that Episode 5 (and the final Episodes beyond) saw input from all of them. I can’t prove that they’re working on an expansion pack, so I’ll put on my tin-foil hat instead. What I suspect went wrong with this plan is that ArenaNet misjudged the speed in which long term players were capable of consuming Living World but also how much money they were able to earn. In addition, many of the first Living World updates appealed only to the long term players and were too far out of reach for those arriving in Tyria for the first time. To address the issue of content consumption and earning potential first, ArenaNet need players to utilise its Gem Store. That means they want you to buy what’s on offer when an update arrives and they want you to use the Gem Converter as little as possible. If players consume the content too quickly they’ll log off the moment they’re done, if you provide incentives to stay (achievements and wealth gain) it’s slightly at odds with ArenaNet’s method of making money. To address the second issue and I feel this is the most important, new players are potentially alienated by Living World by they’re also the most lucrative. New players won’t automatically understand some of the items on the Gem Store and its affiliation to the Living World so may be less reluctant to purchase those goods. New players will wish to gain a foothold in the game quickly - the Gem Store and its conversion becomes incredibly attractive all the way to 80. Irrespective of whether you’re a new or old player, there will always be those who buy Gems regardless of their in game fortunes. 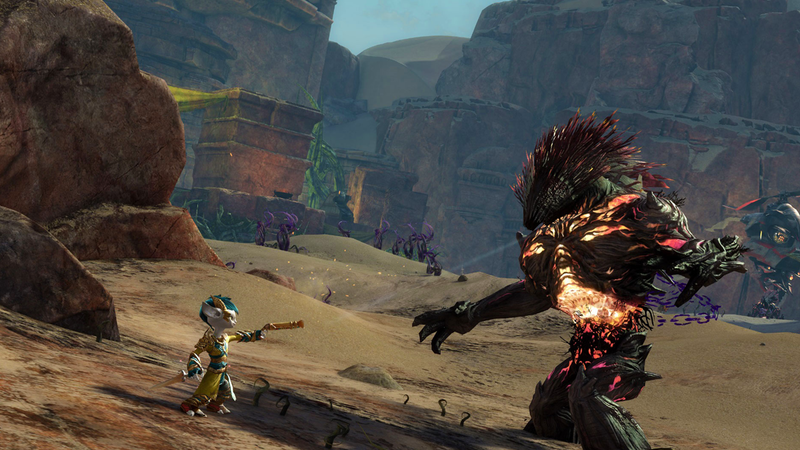 The battle for ArenaNet is to draw income from both parties but to also see growth in income. It’s only natural that after a period of time a massively multiplayer game and its revenue will decline. There’s a variety of factors as to why: fewer box sales, competition or player boredom being the main reasons. To reinvigorate said playerbase, attract highly sought after new players and to earn a significant spike in revenue, an expansion pack is the only answer. A large part of World of Warcrafts success is because of its expansion pack model. At $45 for Warlords of Draenor and the 5th expansion pack from Blizzard, it has once again created an unrivalled buzz about the game. The launch day hype combined with new features is guaranteed to not only secure a sale for almost every player currently subscribing but also players on the fringes. I haven’t played World of Warcraft properly since 2011 (I logged into Mists of Panderia for 5 minutes recently) and even I’ve parted with my money to pick up Draenor. "The game is now two years old. And therefore in the not too far future we do think that we will have an opportunity to show our plans about expansion packs for this game"
Combined the fact NCSoft didn't seek to make any of the staff unemployed in a recent round of layoffs I'd bet ArenaNet have split their development team with one half or more working on a paid-for expansion pack and the remainder keeping up the Living World and patch-appropriate content alive. It should also tie in nicely with the change and ‘streamlining’ of the leveling process ready for when the expansion releases and new players flood in. So, now that we’ve establish an expansion pack is unquestionably in the works and will be revealed after the end of Living World Season 2*, what does everyone want? A pre-cursor quest chain and at least one new Legendary Weapon for each weapon type. Expansion of the World versus World systems to expand the usability of Badges of Honor, Siege Equipment and “flipping” of Outposts and Keeps while adding greater realm incentives to participate. Lastly, to increase the existing size of the available continents to reduce the speed in which players can traverse the map. Considering this article has gone on far longer than intended and if you’re still reading, I’ve a prize to give away. Just let me know in the comments below what you’d like to see in an expansion pack and why. The winner will receive 1600 Gems and the Closing date is 30th November. Winners will be notified several days later. *I’m still guessing and will take my tin-foil hat off now.